Thought of putting a screeny so heres one from today. Go Guerrero Equilibrio! nah, i'll buy the CD key, not get one illegally..
yeah...and you can't play pirated online as easily...lol. if you can get the game files off someone, then the cd key is the way to go!! By saying buy the CD key I'm guessing you buy it seperately? How do you do that? I pretty sure you cant buy just a CD-Key from a retailer. So the only way is thought a Online store. Something like http://www.hotcdkey.com/ or http://www.malware-site.www/. NOTE: ALWAYS CHECK THE SITE FIRST. LOOK FOR REVIEWS. Ask Questions on the live help, etc. It really helps. What are keygens? Do they generate CD keys? yes, using pattens that the key uses, it can create a formula to create many keys, but thats pirating and its bad!!!!!!!!!!!!! True... I'm guessing CoD MW2 is around $100 or $90... How much is it on a CD key website? 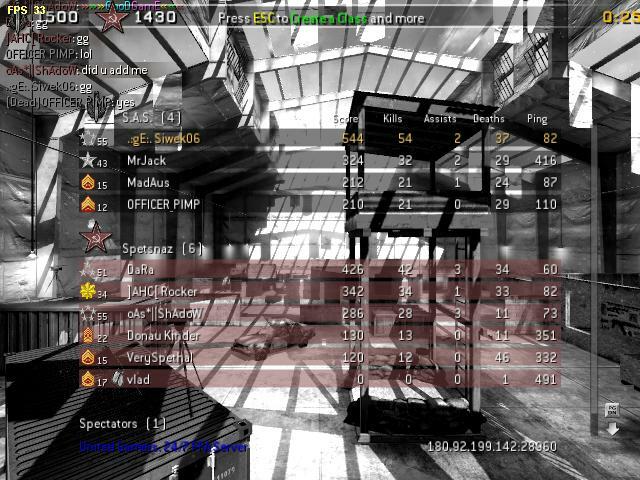 falcon got 64 to 2 deaths once.... and a nuke! !